Breakfast is offered every morning and prepared with care: milk, coffee, tea, fruit juices, cereal, fresh croissants, Matera focaccia and Matera bread with jam or nutella. Every day we offer clean, soft, fresh linens. If required, extra beds can be requested and pets are welcome to Giulietta in the Sassi. Throughout the hotel you can take advantage of Wi-Fi, while each room is equipped with TV, a mini fridge and air conditioning. The staff is at your disposal to provide all the useful information necessary for your stay in order to discover Matera as well as possible. The Giulietta nei Sassi B&B is located in a truly strategic point, bordering the pedestrian area of the Sassi and the historic center. It’s just a stone’s throw from the suggestive entrance into the Sasso Barisano of via D’Addozio and from the16th century Convent of Sant’Agostino. The main road through the Sasso Barisano and the nearby Piazza San Giovanni are ideal places to spend pleasant evenings choosing between bars and restaurants. Near the hotel it is possible to rent electric bicycles and obtain discounts as our guests. You will also find delis, a supermarket, pharmacy, bar and, in the characteristic Via San Biagio, the best of local crafts. The central station, in Piazza della Visitazione, can be reached in ten minutes on foot. From here there are buses and trains to the airport and to the Bari train station, as well as links to the rest of the region, rich in interesting seaside and mountain tourist destinations. 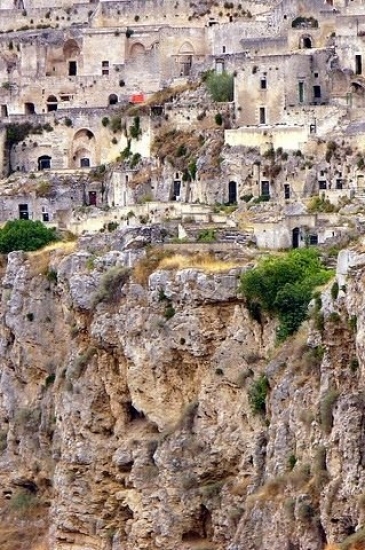 The original nucleus of Matera is placed on the sides of two natural basins, the Sasso Barisano and the Sasso Caveoso: the dwellings, dug into the limestone rock, follow the organic ruggedness of the land, giving the town an irregular appearance. Entering the labyrinth of alleyways and stairways you will find Baroque palaces, Byzantine churches and a myriad of cave-dwellings and settlements that date back to the Neolithic age. At the top stands the Cathedral, built in the 13th century in Apulian Romanesque style, which dominates the so-called “Civita”, the heart of the ancient city. Abandoned for decades, the cave-dwellings have been gradually restored since the early 1990s, thanks to an Urban Recovery Plan and today are an unparalleled attraction. 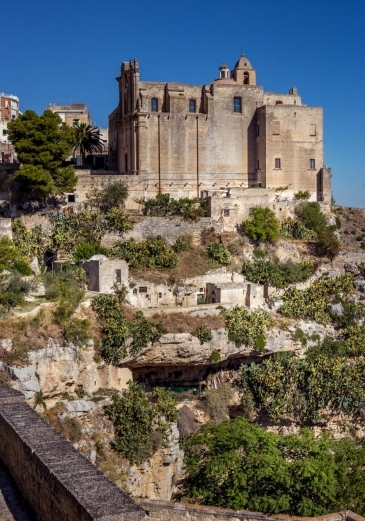 Matera, now known as “the city of stone” was elected European Capital of Culture for 2019. A few kilometers from Matera along the Ionian coast of Basilicata, there is a small village in the municipality of Bernalda: Metaponto. 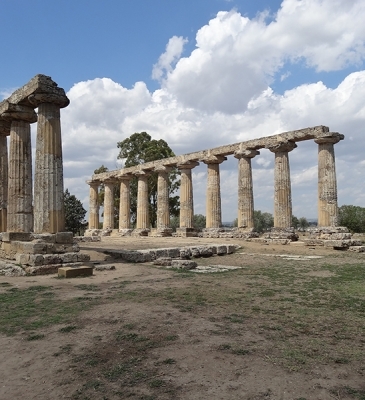 Metaponto, an ancient Greek colony and the home of Pythagoras, is known for its archaeological area of ​​great historical interest. Excavations in the area have made it possible to discover Ancient Greek ruins belonging to the Greek populations coming from Acacia: there is the Antiquarium – an octagonal urban structure – and a semicircular cavea theater, as well as the agora dedicated to Zeus, and various temples in honor of Athena, Apollo, Aphrodite and Demeter.